Calvin C.S. Yap received his Doctorate of Jurisprudence (J.D.) in 1981 from the prestigious Pritzker School of Law at Northwestern University and has been continually awarded the prestigious AV-5.0 rating by Martindale-Hubbell for over 20 years. The AV-5.0 rating is the highest rating for lawyers in the United States and provides assurance of both quality of work and integrity. Mr. Yap has more than 35 years of experience in all aspects of commercial transactions. Mr. Yap practices corporate law, real property law, financing and secured transactions. His experience ranges from representation of small family owned businesses to international publicly traded companies. Mr. Yap’s representative transactions include the purchase and sale of on-going businesses and commercial properties; establishment of distributorship and licensing arrangements; corporate and financial restructurings; mergers and acquisitions for various industry sectors; seller financed transactions; Uniform Commercial Code matters; and EB-5 Investments. Mr. Yap also has experience with creative and innovative use of modern technology in the delivery of financial services (FinTech). 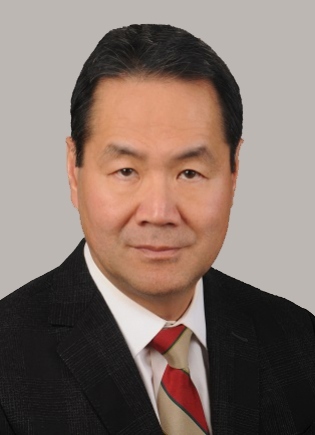 Mr. Yap has represented the Bank of America, the Resolution Trust Corporation, the Federal Deposit Insurance Corporation, and a unique group of clients who have engaged in an astonishing number of transactions during the past 30 years. Mr. Yap has personally handled over 500 commercial transactions. The matters have ranged from structuring complex real property exchanges, negotiating and documenting REMIC (Conduit) financing, purchasing nationally franchised hotels, “power” shopping centers and class “A” office building to long term ground lease estates, ongoing business and single family homes. Mr. Yap is well versed in both interstate and international transactions. Mr. Yap has counseled public and private companies on a broad range of corporate and transactional matters, including corporate formation, compliance issues, mergers and acquisitions, asset purchase transactions, corporate finance, and private offerings. He also specializes in a broad range of real estate transactions, including the purchase and the sale of residential and commercial properties. Offshore manufacturers often are not able to collect trade receivables from their struggling U.S. distributors and customers. In certain situations, Mr. Yap will structure an exchange of the outstanding debt for equity or a combination of debt and equity in the U.S. distributor or customer. In addition to conducting all requisite financial, corporate and regulatory due diligence, Mr. Yap will facilitate a valuation of the company either through negotiations between the parties or by appraisal. Mr. Yap will also restructure the corporate governance to ensure financial control and operational participation by the creditor. Typical documents prepared for these transactions are stock purchase agreements, amendments to the articles of incorporation, issuance of additional common or preferred stock, employment agreements with covenants not to compete, corporate minutes and resolutions, all requisite corporate and SEC filings, loan documents, subordination agreements, shareholder agreements and limited personal guaranties. In a recent matter, a client wanted to make a substantial investment in a U.S. power generation company. The company had recently signed an agreement with a Latin American government to manufacture and install power generators in their country, which generators would supply supplemental power to the state utility company when needed. In addition to the requisite financial, corporate and regulatory due diligence, including compliance with all U.S. export restrictions, Mr. Yap was able to negotiate a multi-step investment in the company to reduce the client’s risk. Rather than investing the total amount as capital, Mr. Yap structured an initial investment as a convertible debenture, secured by the assets of the corporation. If certain milestones were reached, the client would incrementally purchase preferred shares that paid a dividend and were convertible into enough common shares to elect a majority of the board of directors. The principal shareholders all agreed to subordinate their loans to the company, as well. The client was able to monitor its investment and determine whether to invest more as the company prospered or to cut its losses if it struggled.